YOU ARE MADE IN ROOM 101. GET MADE! 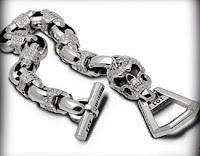 ROOM 101, a luxury silver lifestyle brand founded by Matt Booth, a musician so obsessed with creating custom jewelry, he started his own brand conspiracy. Matt Booth began designing jewelry back in 2000, when the rockin' clothes and jewelry given to him for shows and photo spreads just wasn't enough. 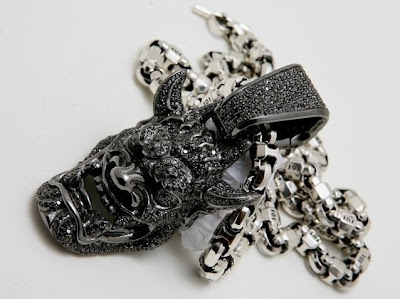 With his obsession, came the birth of ROOM 101 SILVER, a brand that mixes imagination and creativity from both sides of the hemisphere, East and West. From pimped out glam to executive style luxury...the 101 Conspiracy speaks out to people from all different walks of life and backgrounds. 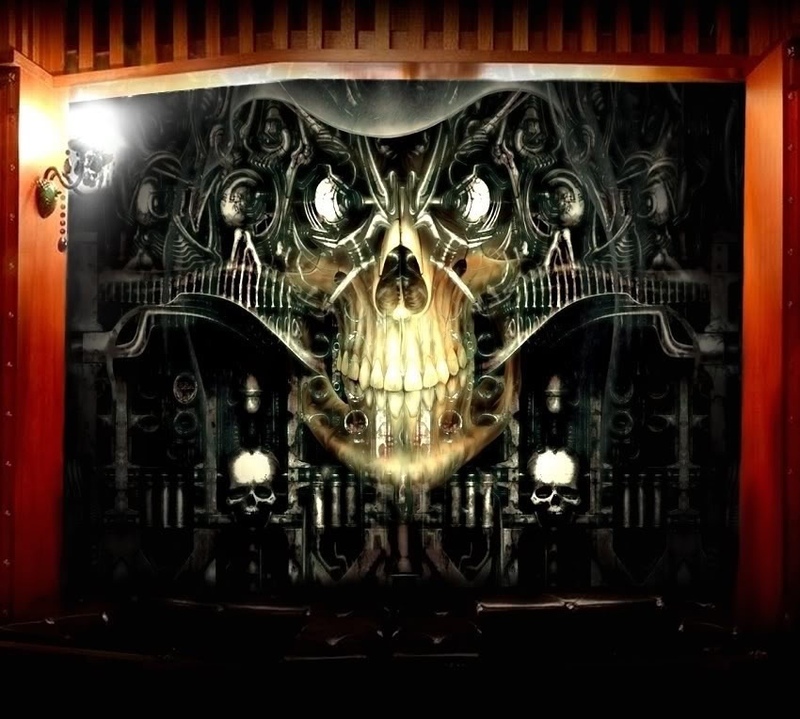 For Skull N Roses, ROOM 101 conjures up images of traffic-congested LA streets, the Hollywood 101 freeway, Sunset strip, Asian tattoos, nightclubs, music and motorcycles. As a U.S. Marine deployed to Asia, Matt was impressed by the rich culture that he found there. He returned to the States only to be touched by the entire experience. 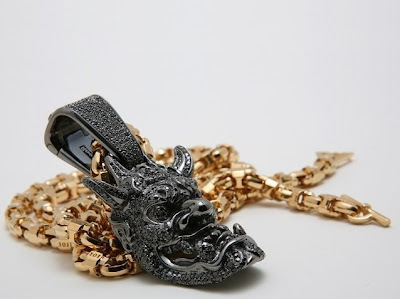 Years later, his experience in Asia became the catalyst for the creation of the FU, the symbol for the Room 101 Collection. In recent years, Room 101 has been featured in top lifestyle, fashion, and specialty magazines worldwide, and has made appearances on major network television. 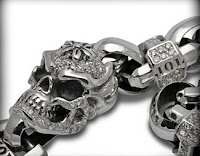 Materials used in Room 101 jewelry include sterling silver, leather, platinum, diamonds and 18k gold. Their Hollywood showroom is available by appointment only. 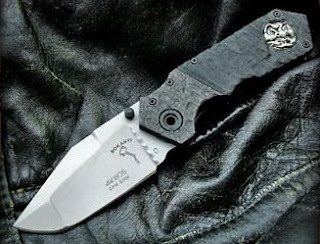 Bokanyi Custom Blades and Room 101 teamed up for a tactical folder knife like no other. Known as the "Obake", or ghost in Japanese, the knife is made of the finest materials in custom cutlery. The Obake is an over-built liner lock-style knife, integrating tactical function with artistic flair and beauty. The handles incorporate G-10 fiberglass and genuine carbon fiber. The blade, by Crucible Materials, is CPM S30V grade and features heat tempering by Paul Bos. 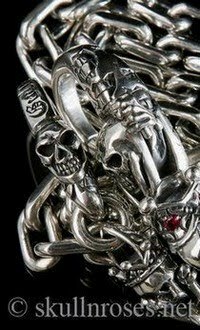 Every piece is handmade, unique (no two knives are exactly the same) and topped off with Room 101 custom sterling silver fittings. Only 101 pieces ever made! 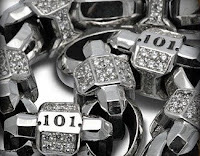 We hope that ROOM 101 can make it into Biker Jewelry 101 history! 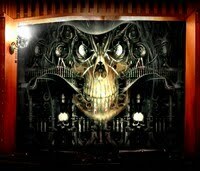 You can appreciate more of ROOM 101's work and craftsmanship at http://www.room101silver.com/.